Experience greater convenience and control with Kinect for Xbox One. Command your Xbox and TV with your voice, make Skype calls in HD, and play games where you are the controller. Be recognized and signed-in automatically, and use your voice to find your favorite entertainment, snap apps, switch instantly and start recording game clips-all without lifting a finger. You can even broadcast your gameplay live with picture-in-picture using the Twitch app and work out smarter with Xbox Fitness. 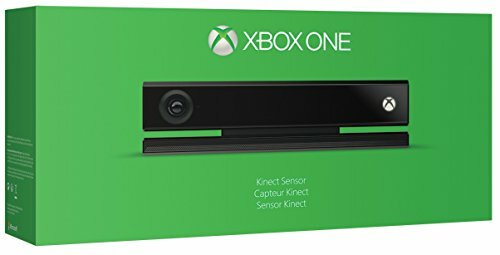 Kinect for Xbox One has a 1080p HD camera, advanced infrared technology and a microphone array with noise isolation for maximum precision in capturing sound and motion.Command your Xbox and TV with your voice (examples include “Xbox On”, “Xbox Watch TV”, “Xbox Go to Amazon Instant Video”, and more). Broadcast gameplay live with picture-in-picture using the Twitch Xbox One app.